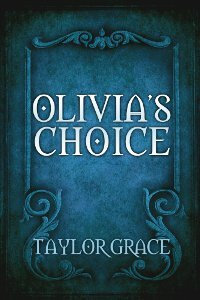 This entry was posted in appreciation, Olivia's Choice and tagged amazon.com, appreciation, books, D. Emery Bunn, Free books, Kindle, mobi, Olivia's Choice, price, reading, surprise, treat by taylorgraceauthor. Bookmark the permalink. Give me your email and I’ll send it to you! Ok, I’ll send it to you through your contact form. Wow, congrats on getting it finished!! No worries. If you’d like one, I have one for you. Can you send me your email so I can send it to you? I just sent it to you! Hope you enjoy it! Just went to Amazon and read the description. Love that it is sci-fi/fantasy – my favorite genre! Can’t wait to read it! Happy 4th to you too! Can you send me your email so I can send it to you? Thank you so much for the interest! I hope you like it! I’ll email it to you right away! Thank you so much!! But why didn’t you ask me for a free one? I would have totally given you one and been delighted with the fact that you’re reading it! But thank you, so much. You’re so kind. I can’t get over what you do, Winter. Thank you so much!! And awesome that people are buying it!!! Very awesome.